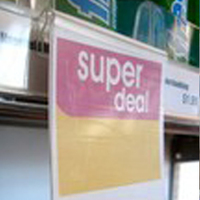 Our most common data or pricing strip, used on the front of shelves to display price tickets to the best effect. Available to take ticket sizes 17, 26, 30, 39, 52 and 76mm. Colours: clear, black, grey, blue, silver, yellow. 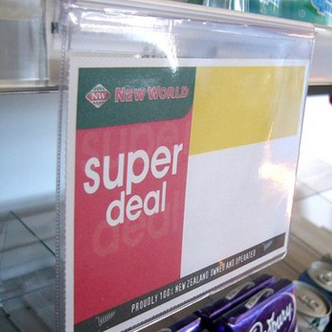 Note: Not all colours are available in all sizes. 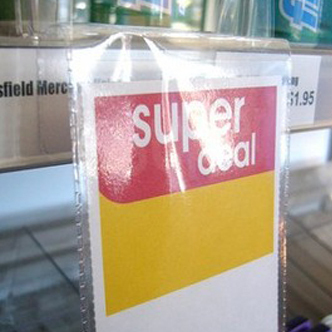 For a better view on low shelves, angles ticket upwards. 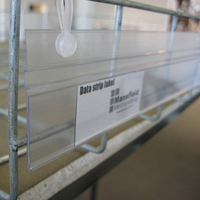 Hangable data strips for wire shelves and baskets. 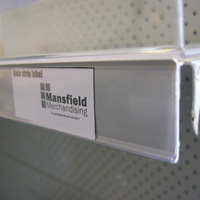 Top Fix Data Strip for glass shelves. 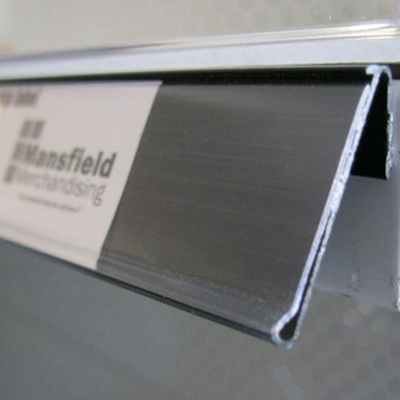 Self adhesive strip under top edge. For ticket sizes 26 and 30mm. 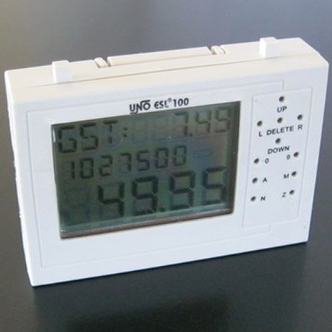 Can be freestanding, magnetic, self-adhesive or clip into data strip. To highlight discounts, these ticket holders clip into the data strip. 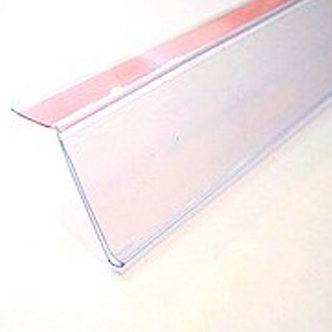 Soft PVC pocket with a hard hinge to attach to data strip. Available in A4 - A8. 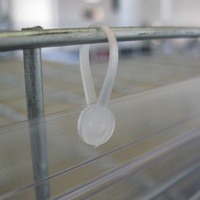 A soft PVC pocket with a flap to insert into data strip. Available in A6 and A7.